Why are you really taking The Pill? The oral contraceptive pill was the first drug in history approved for long term use, and today Australian and American women have one of the highest rates of oral contraceptive use in the world. The most common reason women choose to take The Pill is for contraception, however a growing number of women are prescribed it to treat other conditions such as acne, period pain and pain, commonly associated with Endometriosis and irregular or absent periods, associated with PCOS – poly cystic ovarian syndrome. Yet these symptoms are in fact an indication of underlying hormonal imbalances, for which the pill does not target the cause of & can in fact exacerbate. Many women are under the misconception that the synthetic hormones in The Pill – oestrogen and progestin – are the same as human hormones, but in fact, nothing could be further from the truth. Despite what your doctor may tell you, the pill is not an effective way to balance your hormones. I see many women in my practice who complain of a myriad of side effects experienced both on the pill, as well as when they stop taking it, that did not exist prior to doing so, or returned with a vengeance. These include cystic acne, weight gain, irregular or painful periods, headaches and migraines and mood swings just to name a few. The reason for these lingering symptoms?…..the long term effects of taking synthetic hormones. Many folk don’t realise that The Pill also damages the vital intestinal flora colonies ( good bacteria ) that regulate much of our digestive and immune function. A significant reason why so many women develop thrush, bloating and IBS whilst taking it. Even more alarming, The Pill has been proven to either cause or is linked to, blood clots (causing DVT – Deep Vein Thrombosis), weight gain, reduced libido, depression, abnormal blood cholesterol, insulin resistance, diabetes, Autoimmune disease and cancer, yet doctors continue to prescribe it as a healthy and safe form of contraception for women. Consider the fact the medical profession are now weary of prescribing synthetic HRT for menopausal women, after links were found to oestrogen dependant cancers, yet The Pill, despite containing similar synthetic hormones is being consumed by women in many cases, for far longer periods than women on HRT in their menopausal years. The Pill was in fact listed as a class one Carcinogen ( cancer causing agent) by the Agency for Research on Cancer (IARC), a division of the World Health Organization and researchers at the prestigious Mayo clinic, concluded The Pill increases the chance of breast cancer in young women by 150%. For those women taking The Pill as a means to regulate or induce an absent period, you may be interested to learn that the bleed you experience on The Pill is not actually a real period, but rather an artificially induced bleed, thanks to the artificial hormones – oestrogen and progestin. So if you suffer from irregular periods or fail to menstruate at all (commonly due to Poly Cystic Ovarian Syndrome or stress from excess weight loss) and you have been prescribed the oral contraceptive pill to induce a period, this will prove futile in treating the underlying cause of the problem and in many cases exasperate the underlying hormonal imbalance. The recent introduction of the continuous -dose Pill where women only experience 2-3 bleeds per year is far from a healthy option. I see many women who have opted to take this form of contraception for convenience, because they simply ‘don’t like being put out by their period’. My response ….ask yourself this…..if nature intended us to have 12 menstrual cycles per year, then how unnatural is it for the body not to shed the lining of the endometrium just a few times a year? In this day and age of increasing ‘unexplained infertility’ in women, we need to be doing everything we can to ensure our hormones are naturally and healthily balanced so that when the time comes to conceive, our fertility is intact. So now you’re probably wondering about alternative healthy contraception options to The Pill ? Well that’s a whole other post, so I will save that for next time, but in the mean time if you are taking The Pill for whatever reason, then at least combine this with taking a quality probiotic formula to maintain healthy gut flora. I’d also love to hear your thoughts and experiences with taking The Pill, so feel free to post your comments below so your fellow readers can share in your experiences. Is Cell Fuel one of your products only available online, or can I purchase this in a health food store? I have done your detox and am still dealing with breakouts! will also assist with the cramping. 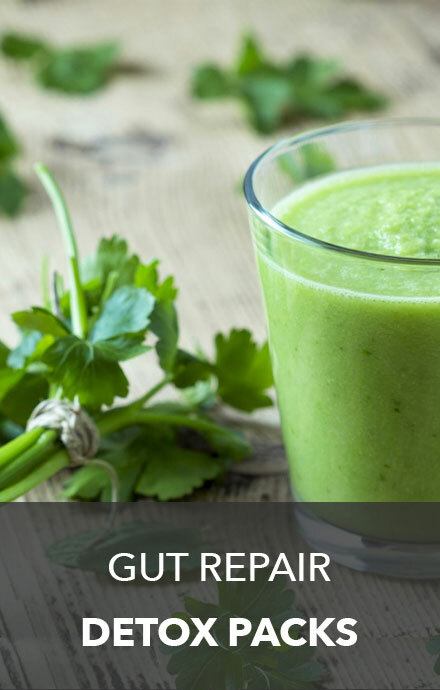 I have had a lot of success with a superfood product I have been workig with for the past 2 years for alleviating skin conditions, but I recommend you take it after the detox / digestive repair supplement pack and following my eating program for best results. Because hormonal issues are slow to respond, you will need to give it 6 months to see results. After this I recommend you have your hormones assessed using a salivary hormone test kit. This can be referred by myself or your local naturopath who is familar with treating these issues. Let me know how our symptoms improve if you decide to undertake my eating program and detox / digestive repair supplement program. I have been on a low dose pill for years with absent periods. I’ve always questioned this but after being poked, prodded & wasting time with numerous doctors who all told me it was fine & “normal”. I’ve continued on with the pill as I haven’t been sure of what to do or if I was just being a rogue patient. Very much looking forward to the sequel to this post!! I am 34 and have been on the pill since I was 14. I initially went on it for my skin. I tried many times throughout my 20’s to go off the pill but my hair and skin would become SO oily and my skin would break out quite bad. 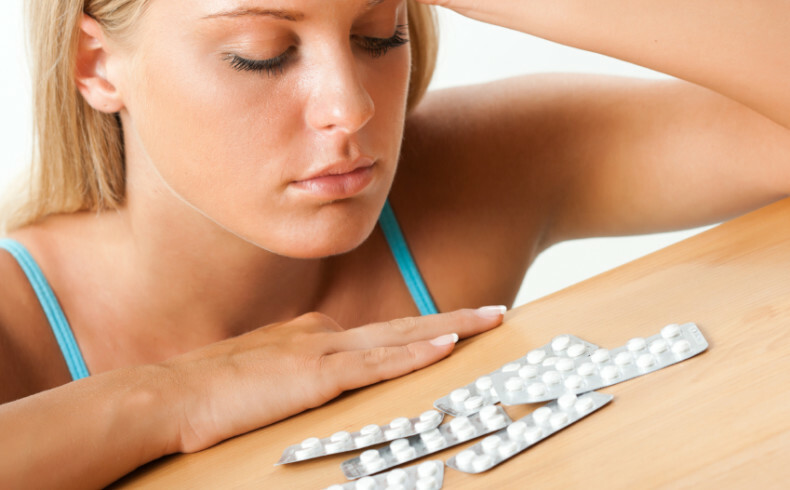 During the time of being on the pill I did become very moody, have depressed/anxious times. Two weeks ago I decided to come off the pill. I am sick of putting it into my body. Yes I am worried about my skin as I have beautiful skin so not sure what to do there?? Let me know Sal and I will arrange a consult with you. I am hoping I will lose the few kilos I gained whilst taking it will disappear but mainly the fact of what it does to your body has scared me so much now that I am wiser and cringe at the thought of it. I will keep you posted as to how I go over the coming months. 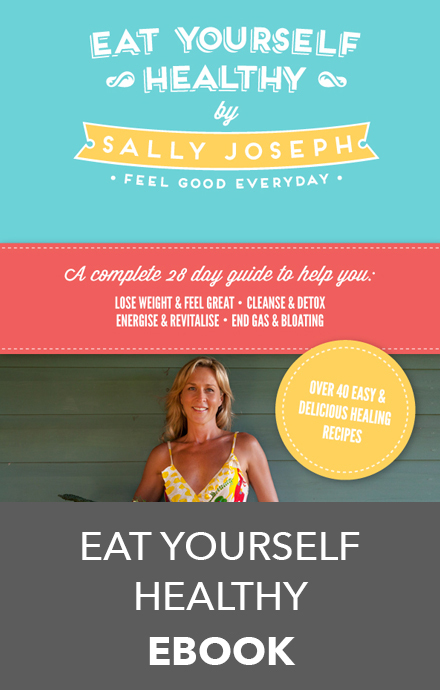 I agree with Sally – there are other methods of constipation. I went to the doctors the other day to get a referral for a dermatologist for a skin check. She asked if I was on the pill. I said no. She asked “are you trying for a baby?” !!! I take the pill to reduce my heavy menstrual flow. I have taken the pill for 2years and want to try for a child. is this a problem or should I give myself a break before I get pregnant? Great article, I have always been skeptical about taking medication when it isn’t necessary, however I have had long term skin issues (minor acne) and tried everything until my GP recommended I take the pill. I have been taking the pill to regulate my skin as I was advised it would level out my hormones. Although my skin has improved (even though it was not severe), I have experienced cramps and bloating. What is the best way to stop the pill without ‘exacerbating’ the pre-pill problems such as acne? Also what would you suggest is the best way to minimise or eliminate the return of my skin issues (which is my biggest concern). Thanks for your article, it was very informative and made me realise giving up the pill was one of the best choices I ever made for my body. I was on and off the pill, many different types, from age 16 (I am now 26) to help with my skin problems. I was pleasantly surprised at first when it did seem to clear my skin, but I was plagued with other side effects such as mood swings (already quite typical for a 16 year old anyway, but more enhanced!) weight fluctuation and abnormal periods. I went off the pill for a few years, but went back on it when I moved to the U.K, the new environment I was living in and the stress of a new job led to my skin erupting with acne. I was surprised with how easily I was able to get the pill in the U.K, the doctor did not ask about any medical conditions or family history or check my blood pressure, all I remember him asking was “what pill type would you like?”, and it was as easy as that! It did not help to clear my skin at all, in fact it made it worse, but the whole year I took it I always thought that with time it would clear it up. Since moving back home to Aus in 2011 I decided to give up the pill for good, I realised it was doing more harm than good. My skin is clearer, thanks to a healthy diet, exercise and using only organic and natural products on my skin and I don’t have all the nasty side effects such as weight gain and mood swings any more. I wish I had stopped using the pill earlier, I guess I also enjoyed the fact that I could skip periods if I wanted too. Would you be able to tell me what natural contraception choices women have? I’ve been on the Pill for 4 & 1/2 years straight now (a few different varieties, some better for my mental health than others), and over the last few months have begun to wonder if it’s time to give my body a rest. Today in fact, one side effect in particular (spotting, which was regular and is now not) caused me to stop and think about it again, so the timing of this article is great for me – another ‘sign’ that I/we really do need to think and perhaps change the plan. So thank you. My husband and I would like to have kids in a couple of years, but at this stage of my career I am really relying on the Pill as my fool-proof no-babies-yet plan. I’m really looking forward to reading about healthy alternatives! Am not keen on having a rod put in my arm or being injected with other drugs/hormones! I completely agree with you regarding the pill! I haven’t taken it for years but it made me very ill when I took it. I developed massive mood swings and depression and I ended up being riddled with candida that it took me about 10 years to get rid of. It made my life hell. I still have severe insulin resistance which I developed at the same time as taking the pill but was unsure if it was related or not (because it never went away when I stopped taking the pill, whereas the other conditions I described above went away or improved once I stopped taking the pill). In addition, I just recently was talking to a friend of mine who developed a massive (although benign) tumour on her liver and the doctors said it was from taking the pill. She had to have an extremely invasive operation to remove the tumour. Furthermore, two of my friends who have been on the pill for many years both developed abnormal cells on their cervix and had to have operations to have them removed. And these are just a few people who I am even close enough to, to discuss these issues with. Good on you for spreading the truth about these vile drugs. I was prescribed the pill from my specialist due an irregular cycle and ovarian cysts. From the first tablet, I was extremely sick and refused to take it anymore. I have always supported natural treatments first but it was advised to use contraceptive to help balance hormones. That was about 10 months ago, and since that time I am on a low/no sugar lifestyle, have been vegetarian for 3 years, attending yoga and meditation classes and am on a high quality probiotic. I am happy to say that my cycles have improved so much more and am even more proud it made a difference on a natural treatment! Will have to see from my next scan if the cysts have reduced. I still have moderate acne as a result of the imbalance but am hopeful in time it will improve. Also, what are your thoughts on Estroblock? I have heard it’s a natural hormone regulator. Many thanks.